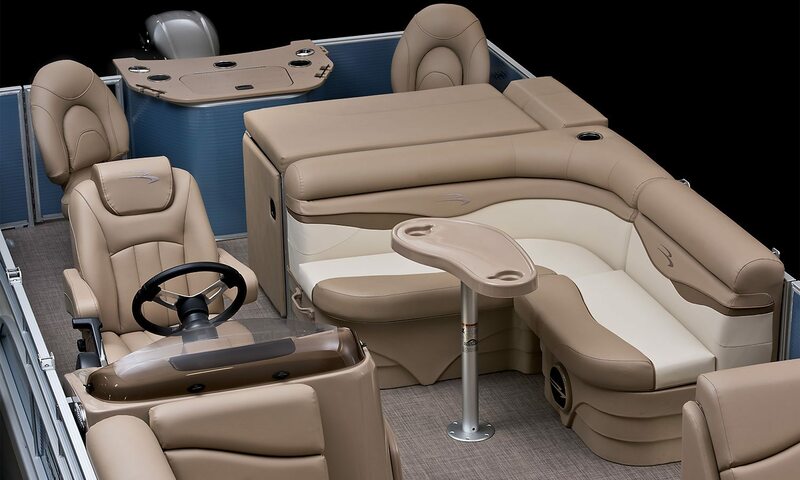 Bow seating with dual chaise lounges and portable cup holders. 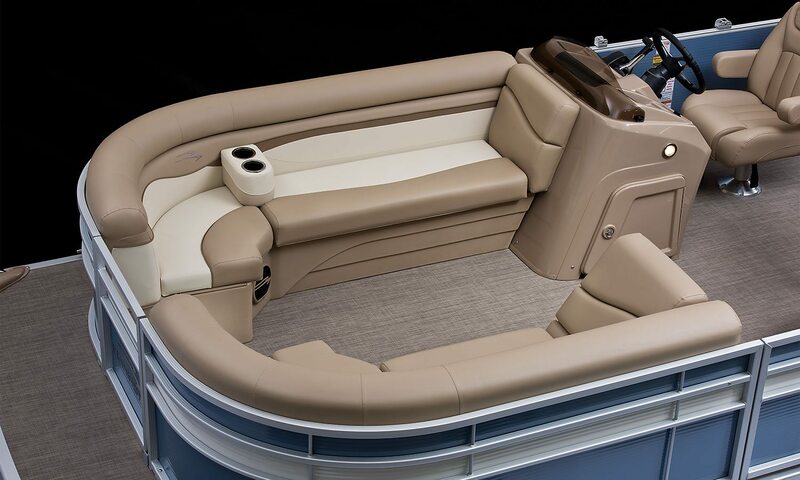 Upholstery in two-tone Napa Beige. 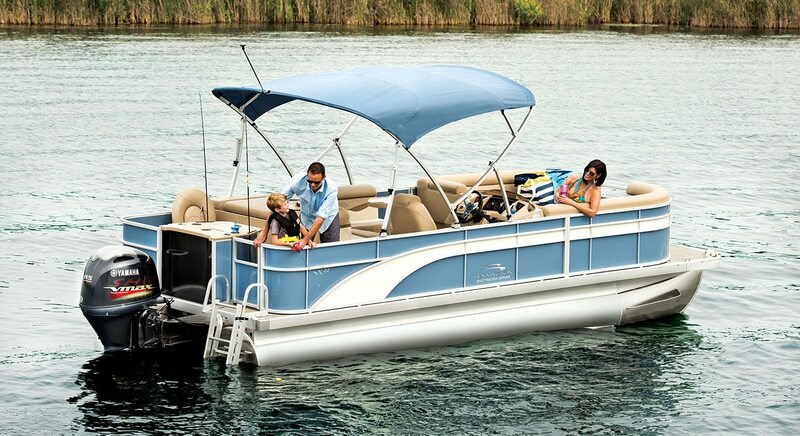 Pure-comfort recliner at helm. 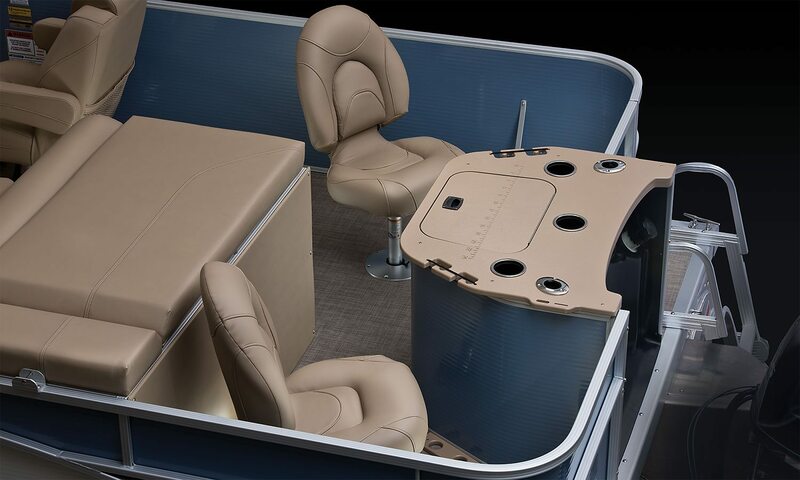 Fiberglass console with storage compartment and courtesy light. Sun pad lounge. Deluxe bass seats. Stern fishing station. Deep step boarding ladder.